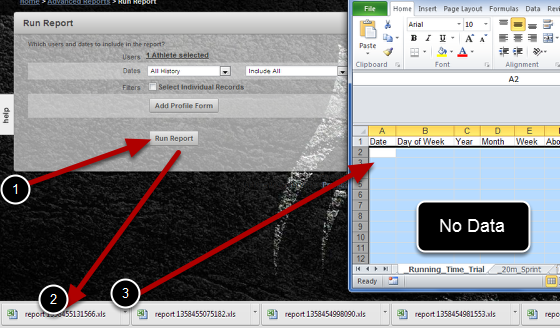 Previously, Excel Reports would not run if any of the Event Forms in the Report had no data enerted for the athlete. 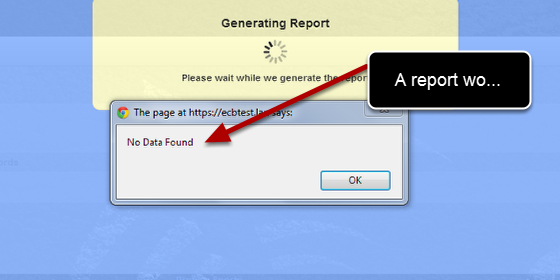 It would just return "No Data Found"
There is a new "Produce report when no data present" setting. If it is ticked the report will run even if there is no data. The image in the step here shows that the report will be generated even if there is no data in the 20m Sprint and the Running Time Trial Forms. 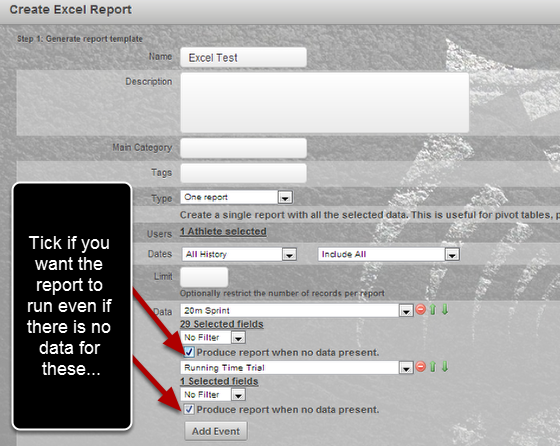 You MUST select this setting for any event forms that are set up in the report. It is defaulted to unticked so all of your existing Excel Reports need to be edited and updated if you require this setting. N.B. Excel Pivot tables cannot update to nothing (e.g. no data), so it you are using an event form to pull into a pivot table or chart it will not update correctly if there is no data entered for that event.This means you may not want to tick "produce report when no data present" if that event form data links to an excel pivot or chart because the pivot/chart will not display correctly. See the steps below for more details. Previously this would not have been possible. The example in the image here shows a report that was run and there was no data for the Running Time Trial or the 20m Sprint that is referenced in the pivot table. This pop up box will appear as a warning that there is no data to reference. The Pivot table appears, but it is NOT showing data from the report. It displays the data from the original template because it cannot update to have no data in it.